Now try to imagine you're an un-anglicized up and coming comic book creator, and you would like to have your work translated into English. Who do you turn to for some help? Huh? The government don't care. The police don't know where to look. Plus Doctor Who has a very silly name. Oh! Wait a minute! I know who can help you! My mate Giuseppe. He told me as much only the other day, whilst running away from the police in the tardis. 1) What are your own origins, Giuseppe? Plus, what path did you take in life prior to getting to where you are today? I am Italian and have been living in London since 2008. I have done a lot of different things during my life. In 1994, I moved from Italy to Denmark, where I spent seven years working and studying. I returned to Italy to complete my Bachelors in History, then I moved to Budapest, in Hungary, for my Masters. After this, I made my way to London. 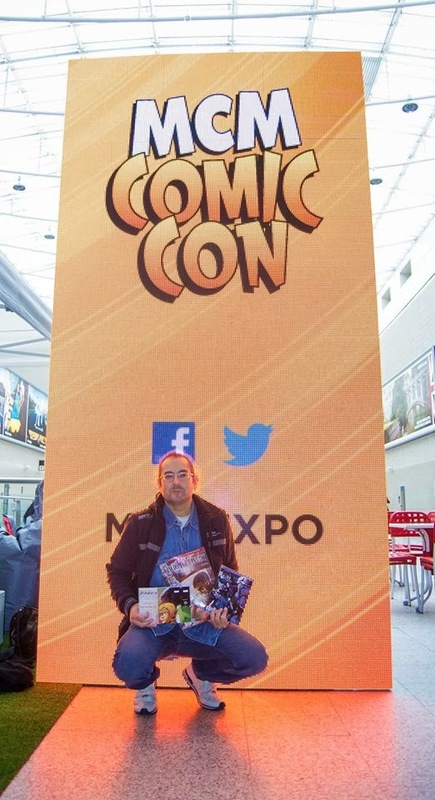 I worked for a restaurant chain until last year, when I resigned to start DieGo Comic Publishing. 2) How did ‘Diego Publishing’ come about? Plus, do you have any affiliations? Reading has always been one of my biggest passions, and I have grown up around comic books and novels. I always had the desire to do something involved in the publishing industry, and, looking back now, I can see it has been my dream since I was a little boy in shorts. So, last May, I took the final steps to make this dream become real. I started to research the market, get in touch with authors and illustrators, and develop an idea about what to do. I knew that I wanted to publish comics. I was not alone in this, and started a partnership with my baby sister, Marcella, who is a painter and anatomy teacher. We have been joined in our venture by Abi Kirk, a published British author, who has become a good friend, and the three of us began running Kingdom of Fantasy magazine. We are supported by several young editors and illustrators, as well as an amazing graphic designer, Denise Di Prima. We would not have been able to realize these four publications without her graphic skills. 3) Could you give us a brief rundown of your wares? At the beginning we only wanted to publish comics - but then we developed the idea of a magazine. It would be a vessel for authors and illustrators, a periodic celebration of the fantasy genre, and we also decided to publish books. We think there are a lot of good writers who has not been translated into English, and we would like to be the one who introduce them to the English speaking readers. So here we are -- now -- with our two initial graphic novels. 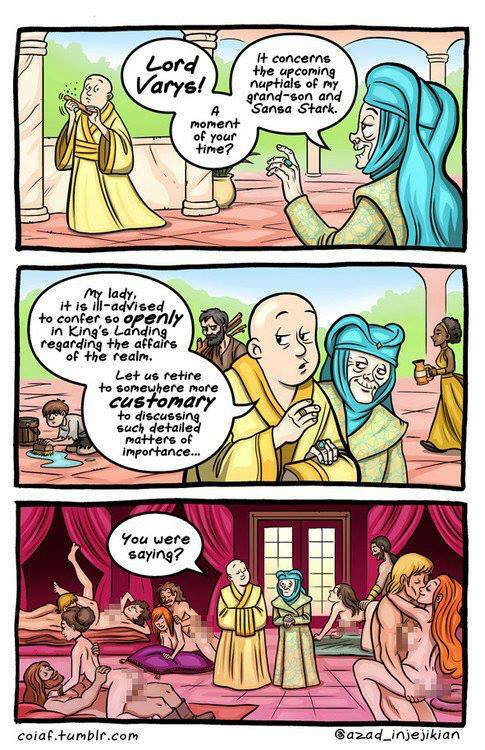 'Diego’s Parody' is a hilarious fantasy, in which Lord of the Rings and Game of Thrones meet X-Factor. The duo of Italian authors, Marco Ventura and Alessandro Anghini, provide readers with a smile in the most dramatic of senses. The idea is to publish a volume per year focusing on the most famous fantasy and science fiction production, making a parody of them in the best Mel Brooks style. 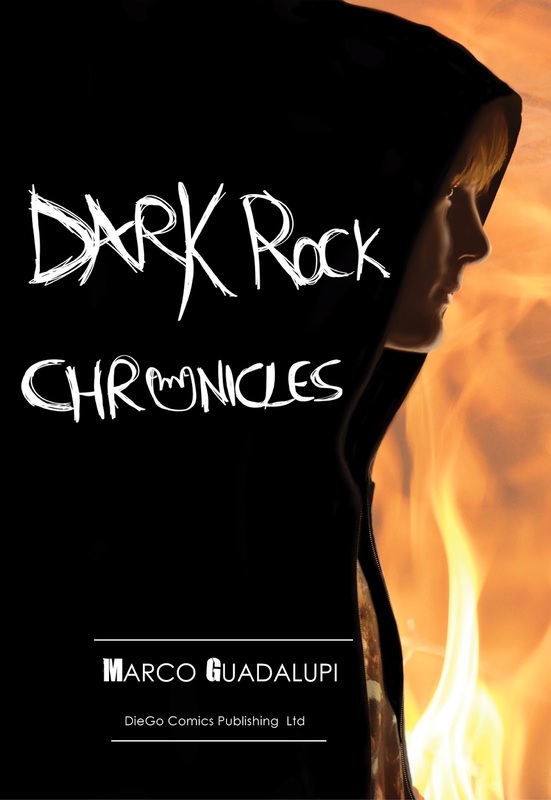 Then, we have the book 'Dark Rock Chronicles', by Italian author Marco Guadalupi. DRC is a fantasy novel set in a world where rock music plays a very important role. The book is a must for fans of both fantasy and metal: the young protagonists find themselves involved in a deadly tournament, where they use their rock music to do battle against dragons, werewolves and demons. The last title is 'Kingdom of Fantasy', which is of course our literary and artistic magazine for all the lovers of the fantasy genre. Every issue is stacked with entertaining articles, brilliant interviews with renowned authors, short stories by emerging writers, an art section and workshops for both writers and illustrators. We keep you immersed in the fantasy world with the latest news, reviews, competitions and more. 5) Were there any unforeseen obstacles you had to contend with along the way? Oh! This is a good one! If I was to go back in time, I think I would have called the company ‘Argo’, because -- as did the Argonauts before me -- I have sailed to the furthest reaches of unknown seas in search of the Golden Fleece. I have been lucky enough to have brave companions with me -- not Hercules, of course -- but my sister, Marcella, my niece, Denise, and good friend. Abi. Together, we have sailed so far, and we have overcome many disadvantages. The Golden Fleece is still far away, but we are confident in achieving our prize. 5) If ‘DieGo’ was a song, what song would it be and why? It would be Queen’s ‘We Will Rock You’, without a doubt. And for obvious reasons! 6) If you could get a celebrity – either living or dead – to promote your comics, what person would you get, and why would you want to choose this particular person? 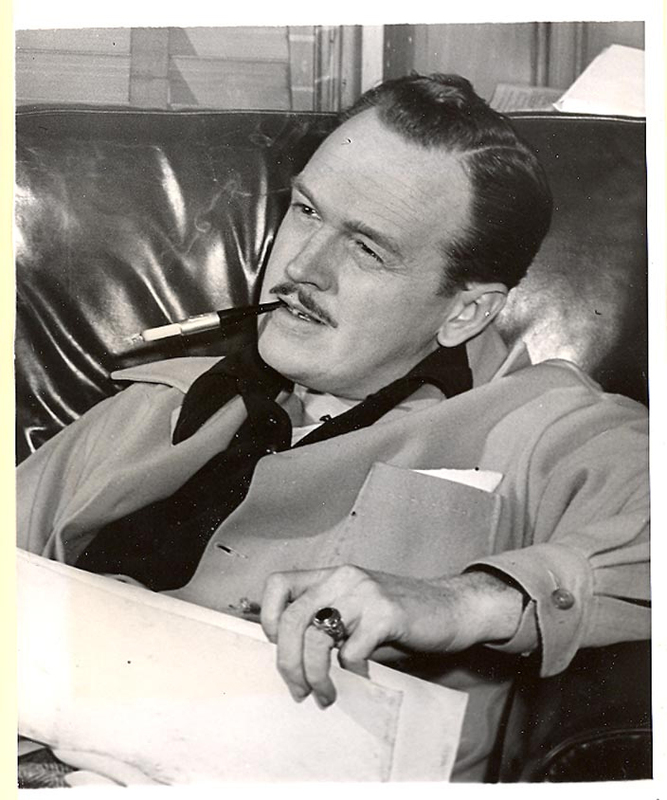 I would definitely select Alex Raymond. I have always been fascinated by the worlds of Flash Gordon. The planet Mongo is a world where everything is possible, and the limits to someone’s fantasy is the only restriction. I like to think that Kingdom of Fantasy can become a new, literary Mongo of sorts, where authors and illustrators have free rein to cultivate their imaginations and bring our readers new adventures, new worlds, new characters, and new stories. 7) What have you learnt about yourself whilst creating for your publishing house? I have learned that I am a dreamer, and that there is no such thing as ‘try’, but only to do or not to do. 8) During your time in this field, what is the one thing that has kept you in good stead? Publishing is a new industry for me! Reading books is one thing that I have already mastered, but publishing them presents a very new challenge. I had to learn and develop new skills, such as type of paper for the printing, graphics, marketing, organizing distribution chains, an online store, and much more. It is hard work, and I find myself in front of a new obstacle every day, challenged with discovering a way that we can overcome them. This requirement for constant awareness is what has kept me in good stead, undoubtedly! 9) If your publishing house had a credo, what would it be? “Gordon’s alive!”. What? He's alive? Truly alive! Well, you know what that means, don't you dear readers! It means that you have to checkout 'Diego Publishing', plus follow them on twitter and facebook too. So go on. Click-Click. Or else a hoard of winged barbarians will chop you to bloody pieces.